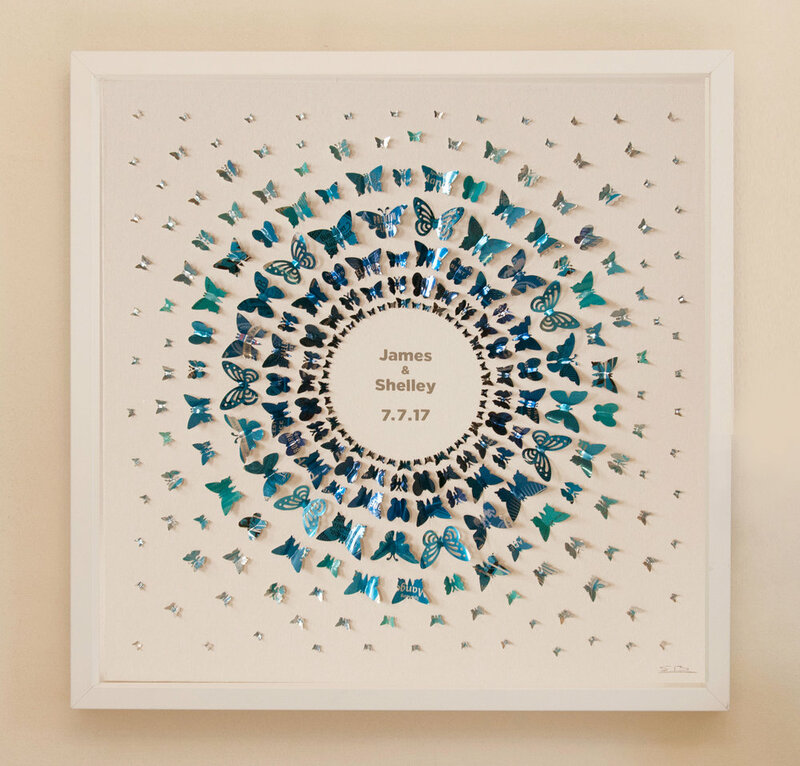 A sweet gift bought by James to celebrate their wedding anniversary. 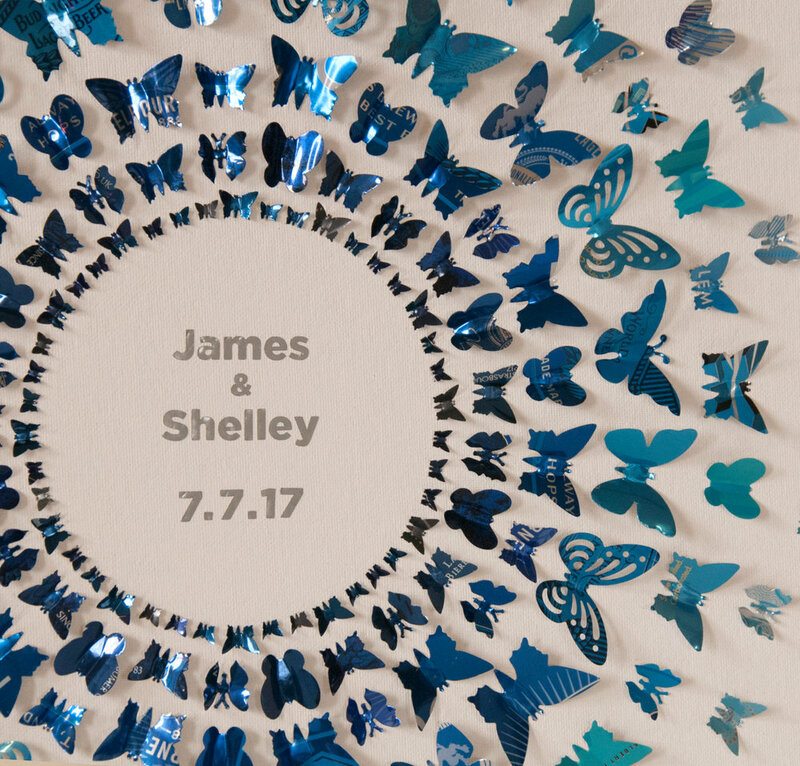 We personalised one of our extra large butterfly circle pictures with James and Shelley’s names and their wedding date. We can add text to any picture you like for a small extra charge. Great for birthdays and wedding anniversaries. HINT… ten year anniversaries are tin, perfect!